Once upon a time, businesses thought that having a website was merely an option that a company has in order to reach potential customers. But it didn't take long for these potential customers to actually disregard businesses that didn't have a website, which made websites mandatory, even for small businesses. The same is true today for the use of social media for marketing, as the more forward-looking companies are getting professional social media management services to help them engage with their consumer base. It's an old marketing rule that you go where your potential customers are. If you sell motorcycle parts, then you try to place an ad in a motorcycle magazine. If your customers read the paper, you place an ad in there. About 73% of US adults are on YouTube, and 68% are on Facebook. Among the 18-to 24 age bracket, 94% use YouTube, 80% use Facebook, 78% use Snapchat, 71% use Instagram, and 45% use Twitter. About 41% of women use Pinterest. About 50% of American college graduates use LinkedIn. While debates rage on about the true value of social media for SEO, the fact of the matter is that your posts can contain links which your followers may then click, which leads them directly to your website. Your posts can tell your followers about new content on your site, or about new products and services you're introducing or a discount or sale you're offering. The link can then lead to your webpage where you can give a more detailed explanation. You're not just getting random visitors either. These are the type of people you want to visit your website because they're highly interested in what you have to offer. Many have lauded how social media allows you to present your business to potential customers. But when you engage with customers through social media, you're also able to see what makes them tick. You can discern data regarding their consumer behavior, such as the products they like to buy and the reasons they like to buy these things. You can understand the websites they like to visit, and you can customize your website to share similar attributes to these other sites. You can find out the posts they like to share and you can then come up with similar posts. When you have a more active social media profile, you become more than just a faceless company. The image people have of your brand becomes friendlier and more familiar. You can then forge stronger bonds with these customers so that your competition will find it very hard to entice them from your brand. Studies show that you actually need to engage in conversations with customers to foster brand loyalty. When you reply to individual tweets, you demonstrate that you treat customers as individuals whose ideas, comments, and questions are also of concern to you. Such an attitude can gain you a loyal following because you don't treat them merely as potential sources of income. 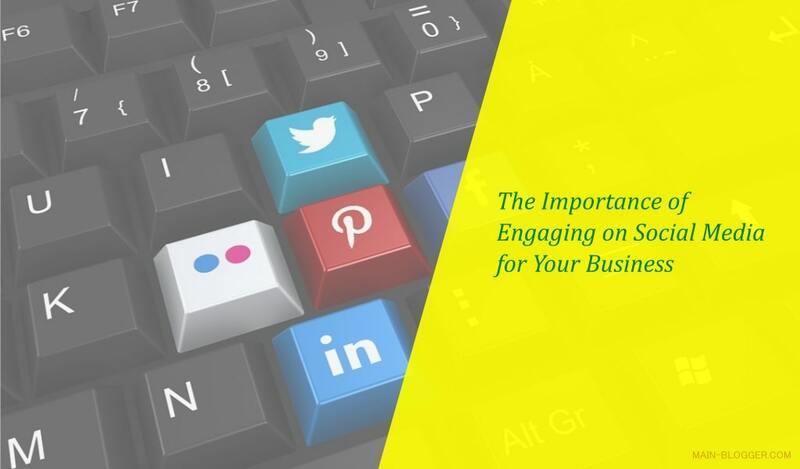 If you still haven't realized the value of social media for your business, then be warned: your competitors are probably out there already engaging with your potential customers! Get on social media now, or else these customers will already be fiercely loyal to your competition.